One of the key security measures used on the internet is called the Transport Layer Security (TLS), formerly Secure Sockets Layer (SSL). It’s used to encrypt data and protect it between online communications or transactions. This protocol needs consistent updates in order to remain safe, as hackers try to find a way to crack earlier versions. The Internet Engineering Task Force, an arm of the Department of Commerce, and the Payment Card Industry Data Security Standard (PCI DSS), which set standards for collecting, storing, and processing credit cards, are requiring the updated versions of TLS on their websites. 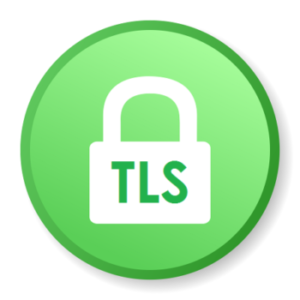 TDS is opting to implement this new version of TLS now because it makes our site and the connections we have to other sites more secure. We made the required changes on our website during an update—but there could be a catch on your end. If your browser isn’t up to date it may not support the newest version of TLS. How will you know? If our website isn’t loading or you’re receiving an error message when you try to access it, you may need to update your browser. If you’re tempted to put off downloading the latest version of your favorite browser, you won’t be able to procrastinate for long. Most websites with transaction components will be making this same security updates before the spring of 2018, which means you’ll probably find other websites won’t work over time. When available, turn on automatic browser updates or manually update your browser when new versions launch. The few minutes of updating will save countless headaches from websites not working, or even prevent hackers from accessing your data. Larry, I’m not a tech guru, but my understanding is that our website security updates should not be impacting any kind of files—only potentially your online browsing experience as companies switch to the new security protocols. Please do give our repair team a call so they can troubleshoot with you about what’s going on. I am not happy about being locked out of my email without notice!!! Not liking TDS at all. Dawn, I’m sorry you’re having trouble. If you’re still struggling, please do give our repair team a call so they can troubleshoot with you (1-888-225-5837). Without warning, I can’t access my email account. Online browsing is working. When I click on email, A TDS security pop-up dated 10/6 says I won’t be able to access “this website in the near future”. I checked email 10/5, but now this. Very frustrating!! R., have you checked to see whether your browser is up to date? If you don’t think that’s the issue, feel free to reach out to our repair team for some troubleshooting (1-888-225-5837). well, can’t access my email account, no warning from you. If you improved things with your website seems you could have made the changes more compatible for the customer. What are we paying for? Our email is extremely slow and sometimes it bleeps in and out – no signal! Too bad for us, you are the only provider. Won’t do any good to try to contact me by email! Fay, the security updates were required by The Internet Engineering Task Force, an arm of the Department of Commerce, and the Payment Card Industry Data Security Standard (PCI DSS), which set standards for collecting, storing, and processing credit cards. Using a current and supported browser should resolve the email trouble you’re having (we have a blog about how to update your browser). If your browser is updated and you’re still struggling, do give our repair team a call for some troubleshooting (1-888-225-5837). how is it I can get into some of my web sites and can’t get in others?.can’t get into my email at all. J, some websites have updated their underlying security protocols and some haven’t yet. We choose to implement the changes earlier than required to protect our customers. Older browsers will work with websites that haven’t updated, but will not for those site that have. We have some tips for helping you know if your browser is out of date in this blog. If you you still can’t access your email after updating to a current and supported browser, then give our repair team a call so they can troubleshoot with you (1-888-225-5837). Please remove this block immediately from my e-mail sight or I will contact the Better Business Bureau! Vera, it sounds like you may be using an out-of-date browser. As more websites update their security protocols, you are likely to experience an increasing amount of trouble online if your browser isn’t current. We do have some tips for updating your browser in this blog. If updating your browser to the most current and supported version doesn’t help, please do give our repair team a call for troubleshooting (1-888-225-5837). No I DON’T HAVE AN UPDATED BROWSER AND MY COMPUTER CANT BE UPDATED AND I DONT HAVE ANOTHER OPTION!! YOUR COMPANY HAS POOR SERVICE. WHOOSE SECURITY ARE YOU SERVING BY DOING THIS? Dawn, because we take payments from customers, we are required by the Internet Engineering Task Force (part of the Department of Commerce) and the Payment Card Industry Data Security Standard, to make these updates. They set the standards for collecting, storing, and processing credit cards, are requiring the updated versions of this security. If we did not update, we’d no longer be allowed to accept credit card payments. And, since the older security standards put customer data at risk as they are less secure, we opted to make the changes early. Websites across the internet will be making these same updates in the months ahead.